Welcome to the roaring world of the Savannah with Respin Rhino, a 40-payline video slot produced by Lightning Box which features a Respins Bonus and Expanding Wilds. In this picturesque scenery, symbols of African wildlife land on the reels as the highest paying symbols – the most valuable of which being the Golden Rhino which pays out 30, 60 or 105 credits starting from left to right. Landing successful winning combinations isn’t difficult at all: this in large part thanks to the Wilds that land stacked, and they expand only if the wild symbol lands to cover a column; the Wild expands, however, only if the Wild land as part of a winning combination. Once this expansion is over, however, additional Wilds can increase wins from the following spins, completing other paylines and bringing in additional rewards. You’ll want to watch out for the Rhino Respin feature though, which almost guarantees you wins by combining Sticky Golden Rhino Reels and Sticky Wild Reels which greatly increase your chances of hitting Respin Wins. Special Gold symbols are required to trigger the Rhino Respins, so watch out for them on the reels! 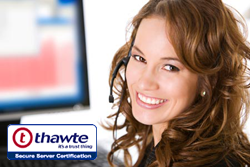 Now, let’s have a more detailed look at how everything works in Respin Rhino. Respin Rhino is a medium variance slot played on five reels and three four rows, with a rather decent 40 winning paylines on which you can land winning combinations as long as they fall from left to right. Play from just € 0.4 but you can avail yourself of a maximum bet amount of € 200 if you feel like an even wilder adventure in the African Savannah. The game offers an RTP of 95.62%. Having said that, let’s have a look at the bonus features this game offers. The Rhino Respins Feature originally awards you three respins. You will see the feature replace the Stacked Gold Symbols on the first and fifth reel with a Stacked Golden Rhino symbol, and both Rhino Reels will remain sticky until the end of the bonus bout. Both reels with the Golden Rhino will remain glued to those positions until the bonus rounds are over. This feature also makes it possible for the Expanded Lady Dancer Wild symbol – which usually lands on Reels 2 or 4 – to remain sticky through a number of remaining Respins. In addition, every Expanded Wild that lands on the reels will retrigger the feature to give you 3 more respins, and will, therefore, give you a bigger chance of hitting wins via the respin mode. If you retrigger the feature for the third time, only the third reel will respin – since the first and fifth reel has a locked, stacked Golden Rhino Symbol while Reels 2 and 4 will also be locked with an Expanded Lady Dancer Wild symbol. Needless to say, retriggering this feature for three times is key to landing repeated big wins! Gold Symbols are regular symbols which land on the reels framed in a golden background; this can only happen on reels 1 and/or 5 and can land as full or partial stacks. When spinning in the regular game, if you land full Stacked Gold Symbols on Reels 1 and 5, you will trigger the Rhino Respins. The J, 10 and 9 symbols are at the bottom of the rung in the Respin Rhino paytable, offering a payout of maximum 50x your bet per line for five of a kind, while the Q, A and K offer slightly better payouts. The animal symbols offer you bigger rewards – 75x for five elephant or eagle symbols, the monkey comes at a 100x maximum, while the tiger is the highest paying symbol at 100x your bet per line. The Wild symbol, apart from substituting all other symbols, expands to take up a whole reel. Lightning Box has set this exciting video slot in the Savannah, with reels in a black background set against a glorious sunset scenery. The game features a minimalistic control panel set beneath the reels, from where you can set the bet amount and autospin, while your Balance, bet amount and win amount can be found at the top of the screen. 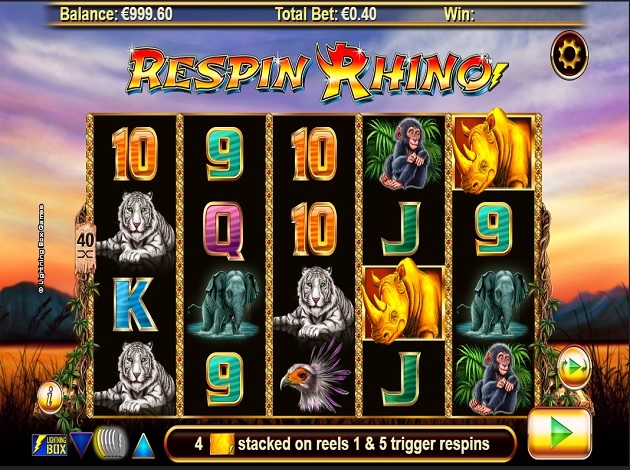 Get spinning with Respin Rhino, a fantastic video slot by Lightning Box. With its 40 ways to win and a spectacular Rhino Respins feature that can bring you massive wins, Lightning Box might just have created the perfect online slot for fans of wildlife-themed slots – so get ready to run Wild! Lightning Box was founded in 2004 by a group of experienced developers with a vision to design content for land-based casinos. Lightning Box holds a lot of experience, and this becomes clear as you play any of their games. Their slots are unique in the versatility of the mathematics put behind them. Lightning Box is till today team of experienced game designers; they are constantly working to provide players with innovative games and an entertaining gaming experience. They take their time to understand players from all around the world so that they can offer the best possible games for anyone to enjoy. If the majority of these players are not experienced slot players, then it is important to provide a game that such players still can enjoy. For example, a game with a more frequent bonus occurrence would be a better fit there than a highly volatile game which would be more suited to a market populated with regular players. We have come to the conclusion that Lightning Box understands what it is to make a great and fantastic slot game. It is, of course, a mix of a great math, striking graphics, cinematic audio and just a hint of magic.